1. Can I visit the nursery? Come and visit us at Tremenheere Nursery, located at Tremenheere Sculpture Gardens near Penzance. 2. What size are succulents you have for sale? We sell plants in pots ranging from 6cm to 9cm (except where otherwise stated), perfect for posting at this size. They are robust specimens, established at their size, ready to be potted up. (Please note the plants are shipped bare root and pots are not included). For more information view our Ordering from Surreal Succulents article. We do ship worldwide (outside the EU) on completion of phytosanitary certification, for which extra charges apply – they are available in the Pots and Extras category. You will need to ensure that you have any relevant import permits – please check with the appropriate authorities in your country. 4. How soon will I receive my plants? Our website orders are despatched within 2-3 working days of receipt at the Nursery. Note that during cold spells plants cannot be dispatched because they could suffer damage in transit. Orders will be sent out as soon as temperatures rise above freezing. Orders may also be delayed over public holidays to avoid excessive length of time in transit. 5. What are your postage costs? Customers are usually delighted with our goods and service, but if a mistake does occur, please let us know, and we will do all we can to put things right for you, politely and professionally. Please see our shipping & returns pages for further details. 7. Is online shopping safe? Our online shop accepts payment through PayPal, To protect your payment information. Paypal currently has one of the highest protection levels available on the Internet. All sensitive data will be encrypted before leaving your computer. When you go to the checkout page to complete an order you can check for yourself that the encryption is working by looking for the padlock icon in your web browser’s status bar at the bottom of your screen. 8. How will my plants be delivered? We send your plants to you bare-rooted, with most of the soil removed from the roots, and carefully wrapped in tissue paper. The plants travel happily this way, and postal charges are kept to a minimum. Each plant is individually wrapped and labelled. On receiving your plants they should be potted up as described on our growing advice page. 9. Will my plants be like the plants in the photograph? Sometimes when your plants arrive they may not appear to be a true likeness of the plant in the website photograph. Our photographs are taken of the plants at their most colourful and attractive in dry conditions and high light levels. 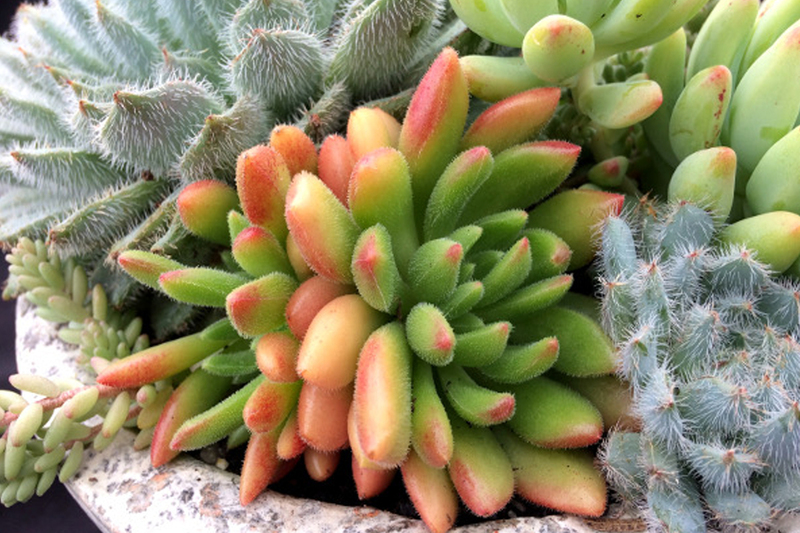 Rest assured that succulents vary in appearance through the year and will resemble the photo when grown on and at the right time of year (usually summer). I made two separate orders for a total amount of 16 plants a few weeks ago. The plants that arrived were perfectly packaged, quckly received, in perfect shape both in terms of health and form. All were almost the same as on the pictures, very good size and in perfect condition. The customer service was outstanding – I had to contact the seller for one plant that was sent by mistake due to similar names instead of another but the SurrealSucculents team were very responsive and quick and before I knew it I got the correct plant, leaving the wrong one (which was also a delight) as a bonus for me. I strongly recommend this seller to any other sources. I have bought on e-bay a lot of succulents and you pay the same money if not more for plants in bad shape and health, sometimes rotten and arriving with pests. SurrealSucculents is my favourite source now and I would not go elsewhere to get my succulents! Absolutely amazing. I received my plants today and couldn’t be happier, they arrived so healthy and quickly. Very happy with everything about this site. Keep up the good work!! I have been visiting your website for months. Finally, I decided to place my first order last week. I can’t be happier with the three lovely echeverias that I got! They are healthy, they were packed with extreme care, I am absolutely delighted with your service. I will definitely place more orders in the near future. Keep up the good work!!! This is to say a HUGE thank you to the Surreal Succulent team! I received my succulents today in Northern India in perfect tip-top condition. They were all big, juicy and very very succulent specimens especially the pachyphytum! They superseded all my expectations. It has totally been a SURREAL experience for me and my garden! I received my first order from you yesterday – various aeoniums and crassulae. They are fab. The difficulty now is to resist ordering from you on a daily basis! Thank you. I always purchase from surreal succulents, I love the way they pack every single Item with care , the postage rates are great and they are delivered within a week . Why would I need to go anywhere else when surreal can meet all my needs,Thank you. Received my latest order today, and , as always, plants arrived in tip top condition. Great service. Thankyou so so much for the lovely and carefully wrapped succulents. I am very pleased with my very first order an will be buying from you again soon. Very pleased with every stage of ordering. The website is easy to navigate, beautiful pictures of the plants, and useful information. The shipping was quick, and the plants were well wrapped and labelled. They arrived in perfect condition and have remained happy since potting. The queries I have submitted have been quickly and effectively answered. 5 star review, would (and have) ordered again. I just wish I lived closer so I could come down to the nursery. I received my first order from you today and am delighted. I am new to growing succulents and am very excited to be planting my first ones. You took great care packaging my order and the specimens look fantastic! So nice to not have lots of plastic to deal with too. Many thanks, am sure that I will be buying again soon.